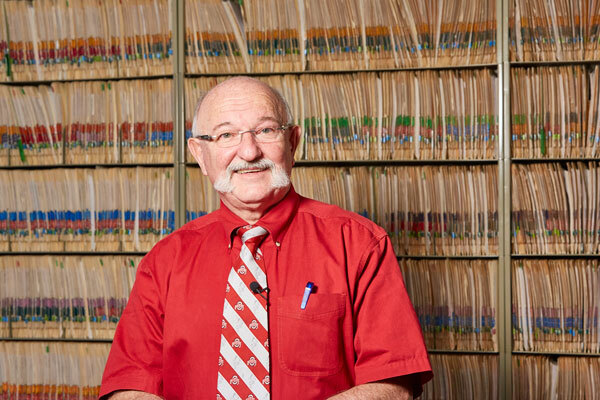 Our staff and doctors find great value in giving back to our community, both locally and globally. Take note of a few partnerships that have been meaningful to us. eye exam vouchers and free eyeglasses to those in need in the community. 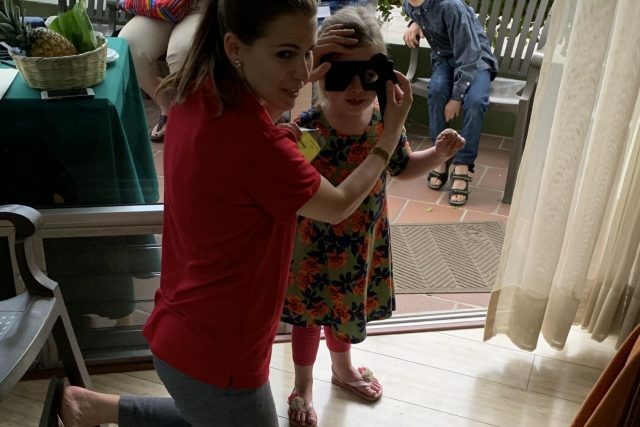 children received vision screenings to evaluate their ability to see clear as well as their eye health. CrossNet Ministries exists to provide resources within the New Holland community in the areas of youth, food and nutrition, community and social services. 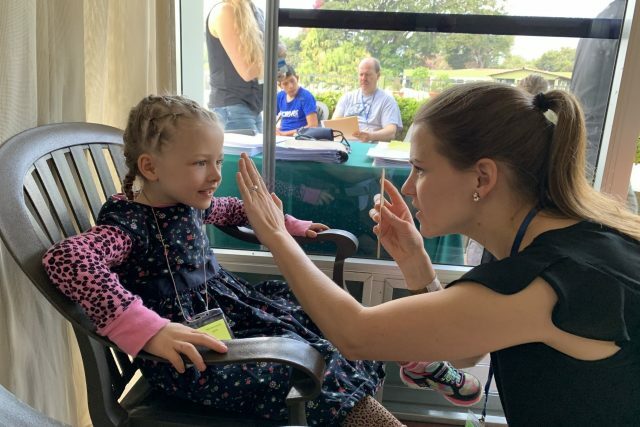 Optometric Associates partners with CrossNet Ministries to provide NO COST eye health exams and eyewear for local children and family members in need. Eye exams and eyeglasses are donated to this organization on a monthly basis. 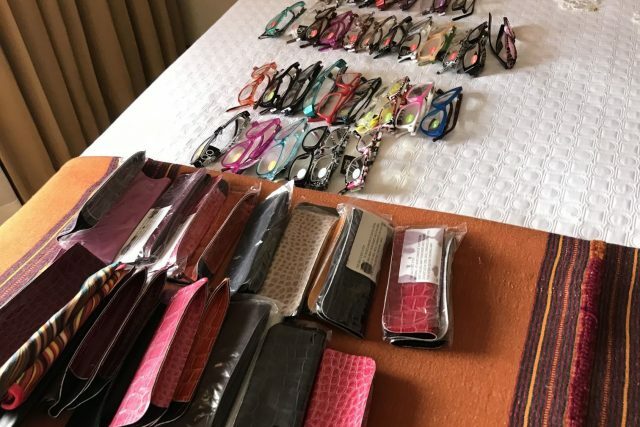 Supporting Optometric Associates through the purchase of sunglasses helps sustain no-cost eye exams to families in need on a consistent basis. Other programs we support locally are the Kiwanis Club, the Elanco Library, New Holland Summer Arts Program, New Holland Ambulance, Garden Spot Performing Arts, New Holland Early Learning Center, Lighthouse Vocational Services, and O’Neill’s Auto Body Annual Motorcycle Benefit Ride. 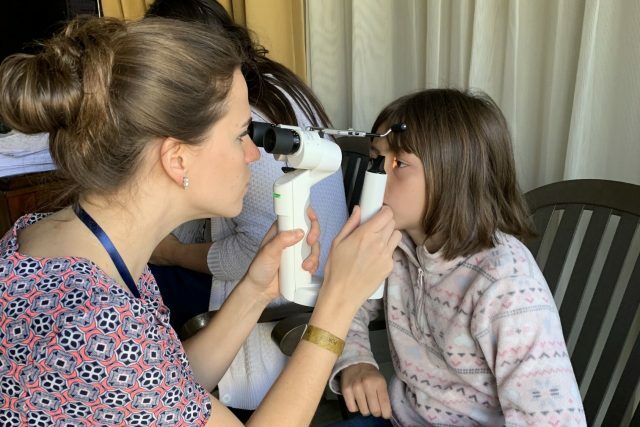 Our doctors provide free eye education to children at Kinderhaus Daycare, ongoing lecture series to senior citizen residents at Garden Spot Communities, and also visit local Amish schools to provide no cost vision screenings. Financial support funds outreach to people at highest risk of vision loss. 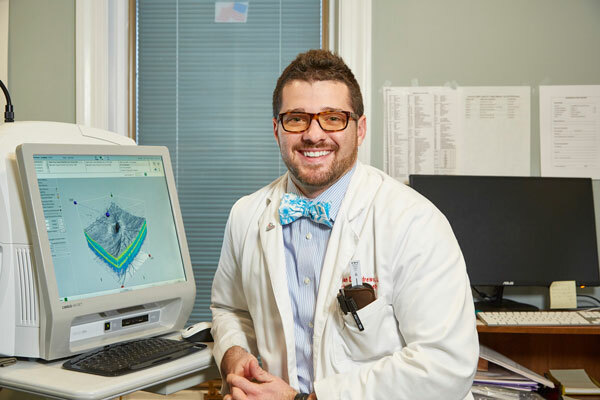 They directly support quality vision screenings for preschool and school-aged children and provide access to professional eye care for low-income families around the country. InfantSEE® a public health program, managed by Optometry Cares® – the AOA Foundation, is designed to ensure that eye and vision care becomes an essential part of infant wellness care to improve a child’s quality of life. Under this program, participating optometrists provide a comprehensive infant eye assessment between 6 and 12 months of age as a no-cost public service. Please visit infantsee.org to learn more about the program. Diabetic Eye Exams Are Performed Each Year. The Pennsylvania Diabetic Health Alliance: The Pennsylvania Diabetic Eye Health Alliance (PDEHA) is a program designed to target known public health concerns surrounding the care of diabetics. It specifically addresses the optometric evaluation of the diabetic patient and disease management issues such as timeliness, accessibility of care, professional communication, quality management, delivery system cost efficiencies, and clinical outcomes. This program and its participating health care professionals will devote serious and sustained effort to deliver comprehensive and expedient diabetic eye care and intercommunicate the information to all those involved in the patient’s care. Dr. Wolfram and Dr. Jonathan Andrews travel together bi-annually to provide vision care for missionary families and children in need.